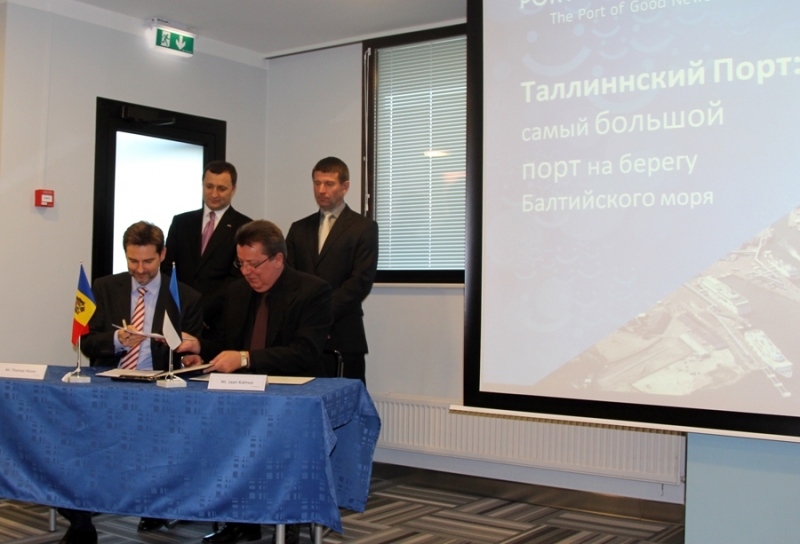 On 19 October Danube Logistics signed an agreement with the Estonian Shipping Company for the charter of its vessel MV Kalana. The vessel has been built in 1996 in the Netherlands and is registered in the Port of Tallinn. Up to 266 containers, including 20 refrigerated containers, can be transported by the vessel at a time. The signing of the charter agreement took place in Tallinn in the presence of Prime Minister Vlad Filat, who visited the Port of Tallinn as part of his official visit to Estonia. Giurgiulesti International Free Port is operated by ICS Danube Logistics SRL, a company owned by the Dutch company EASEUR Holding BV (80%) and by the European Bank for Reconstruction and Development (20%).